Chad Brown has worked in the bleeding disorder community for 18 years and has Hemophilia A himself. He is passionate about staying active with hemophilia and advocates for an active life. He was a former competitive wakeboarder and wakesurfer as well as a professional coach, and he lives what he preaches in the ‘crawl-walk-run’ technique. Chad spent 10 years in the wakeboarding industry and directed nearly 30 competitive tournaments but decided to redirect his focus to where his passion grew in the bleeding disorder community. Chad has created multiple programs over the years focusing on exercises for people with bleeding disorders and recently has been focusing on golf as a low impact activity as well as water aerobic exercises. He currently resides in Winter Park, Florida, with his wife, 4-year-old son, and 2-year-old daughter and still enjoys wakesurfing, golf, woodworking, and hanging out with his family. Don Regan is a Small Business Consultant for Paychex Inc. and serves on their local Charity Committee for Central Florida. In the past, Don has worked for a non-profit pharmacy specializing in care for bleeding disorder patients and was the Director of Operations for Gainesville Restaurant Group for eight years. In 2005, he founded the Chippin’ for Children Charity Golf Tournament benefitting children with blood disorders and has served on various committees over the years for the American Cancer Society, PACE Center for Girls, Volusia Building Industry Association and the Preferred Business Group of Ormond Beach, FL. Don graduated from the University of Florida earning a B.S. in Accounting. Married to Kristin for three years, they have a 2 year-old daughter and a new baby girl. Don is very passionate about golf, exercise and supporting his community. Clyde (J.R.) Brawner has been a lifelong active member and volunteer of his local hemophilia chapter. Over the years he has fulfilled many volunteer roles within the bleeding disorders community, however, he is most proud of his role as co-leader of the Junior Counselor (JC) Program at the Oklahoma Hemophilia Foundation’s (OHF) Camp Independence. The JC Program is designed for campers ages 16-19 years and focuses on developing leadership skills. This program has continually gained momentum and has yielded many of OHF’s current camp leaders and community volunteers. In 2013, J.R. obtained his MBA degree and later founded an electronic repair and IT support services company in Oklahoma called Electronic Works. Electronic Works provides consumer electronic repair/maintenance and IT services to individuals as well as small businesses and non-profit organizations. 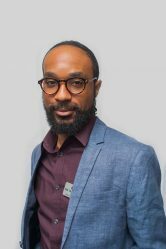 J.R. currently resides in Edmond, Oklahoma and remains involved within the bleeding disorder community, serving on several OHF committees, as well as, on the Hemophilia Federation of America’s (HFA) Board of Directors. 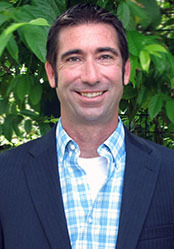 Brian Rodgers is a longtime member of the rare disease community. Brian was born with severe Hemophilia B. After spending his childhood attending local and national bleeding disorder conferences, Brian grew into an active community member as an adult. He has attended multiple leadership programs including Step Up, Reach Out and The Generation IX Project. Speaking on several public platforms, Brian has promoted nutrition and fitness as ways to increased joint health and also lead talks in regards to living with Hemophilia including the impact it can have on personal relationships. Since the age of 6, Brian has been an avid summer camp enthusiast. He still attends his local Hemophilia camp as a counselor after 26 years. This passion for the bleeding disorders community has seen him sit on the board for local Hemophilia non-profit groups and continues to unfold as he moves into new ventures supporting the rare disease community. Brian currently works in the pharmaceutical industry as a sales representative and resides in Kansas City, MO with his wife and 3 boys. Mark E. Heiny, M.D, PhD is a pediatric hematologist at the Indiana Hemophilia and Thrombosis Center in Indianapolis, Indiana. 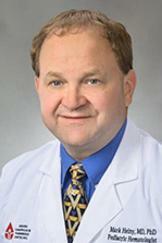 Dr. Heiny earned his medical degree and PhD in Biochemistry from Indiana University. He subsequently served in residencies at Riley Hospital for Children in Indianapolis and St. Louis Children’s Hospital in Missouri, and completed his training with a Pediatric Hematology/Oncology fellowship at Washington University School of Medicine in St. Louis, Missouri. Clinical interests of Dr. Heiny include benign chronic hematologic disorders in children such as hemophilia and sickle cell disease, and blood clotting disorders including pediatric stroke. Dr. Heiny has been providing care for pediatric hemophilia patients in Indiana since 1996, and is currently a member of the pediatric team at the Indiana Hemophilia and Thrombosis Center (IHTC). IHTC provides clinical care for the majority of hemophilia patients in the state of Indiana, and their practice includes both pediatric and adult hematologists. IHTC physicians are physically located in the same building and clinic space, allowing for a smoother transition process for young adults with chronic diseases. Dr. Heiny has authored research in peer-reviewed publications such as the New England Journal of Medicine, Blood, and the Journal of Pediatrics. 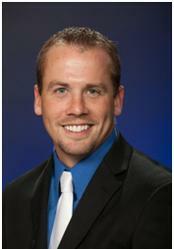 Mitch Heitsch is currently the Head Golf Professional at Heathrow Country Club. He began his professional career in golf in 2010 at Twin Rivers Golf Club where he was the Head Golf Professional for over two years. He continued his experience at Heathrow Country Club in 2012 where he has been the Head Pro since. Through his experiences Mitch has had great success in multiple fields of the golf industry including running multiple successful golf tournaments, creating junior and adult programs as well as continuing to grow the game of golf through passion and determination. At age 3, Mitch’s younger sister was diagnosed with Type 1 Juvenile Diabetes. He watched his younger sister grow up with this disease and was there to help in any way that he could, including helping the school nurses at elementary school with her daily shot routine. He watched his younger sister overcome and thrive with a disease that has inflicted many. This drive and determination is a daily motivator in his daily life.